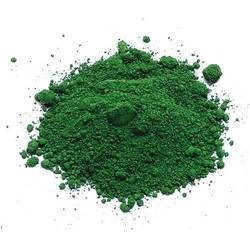 Prominent & Leading Manufacturer from Ahmedabad, we offer chrome oxide green. We are highly appreciated in the international market for our quality approved range of Chrome Oxide Green. This pigment is formulated at our well-equipped chemical laboratory using high grade chemical compounds. To retain its efficacy, we pack these chemicals in premium quality packaging material.